We have the answer, easy to make games night meals for everyone . . . Adapted from a pizza sauce with added meatballs everyone is sure to love this dish with a sprinkle of cheese ontop. Mike loves eat this with spaghetti, it tastes great. However the possibility of slurping and splashing sauce all over lovely games led to us substituting with Fusilli. We leave it to you to choose a pasta preference. 1. Boil pasta as instructed on packet. 2. 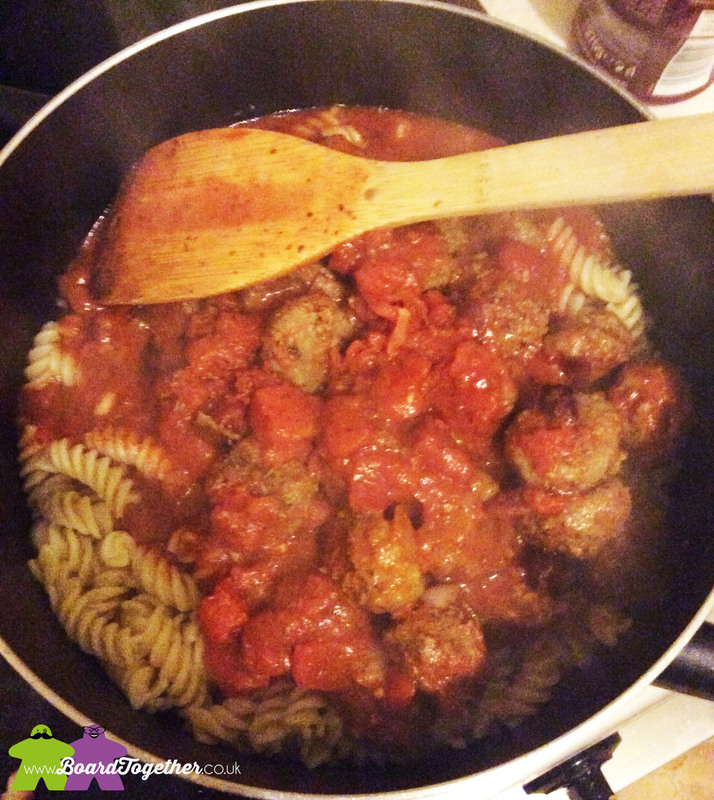 Cook the meatballs in a large frying pan with a little oil. Drain extra fat as needed. Once browned put to one side. 3. Gently fry the chopped onion until you like it and set aside with the meatballs. 4. 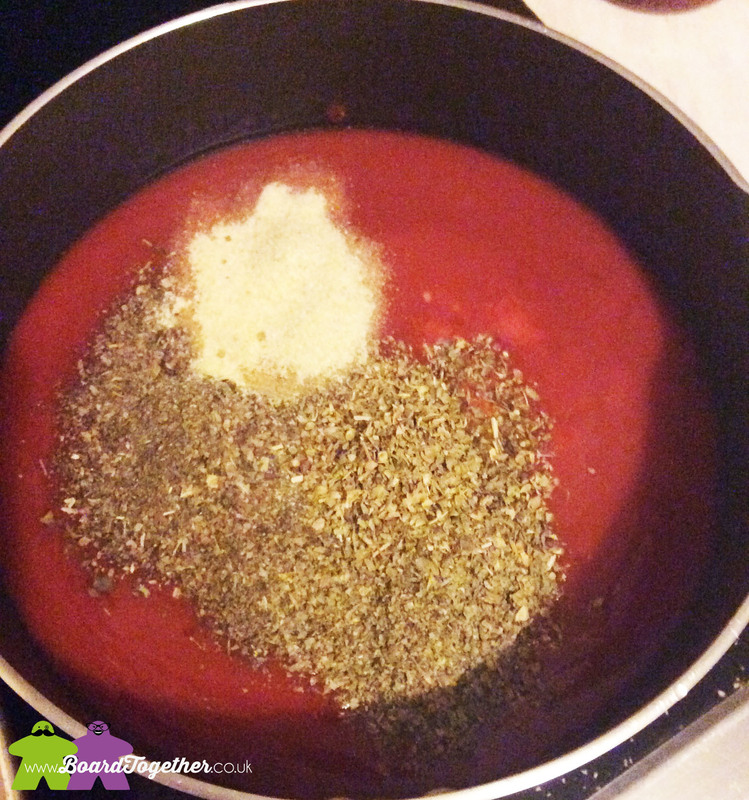 In a large saucepan mix all the tomato sauce ingredients – basil, garlic powder, marjoram, oregano, passata, chopped tomatoes. 5. Bring to the boil then add the meatballs and onion and turn down heat. 6. Drain the pasta and divide between each persons dish. 7. 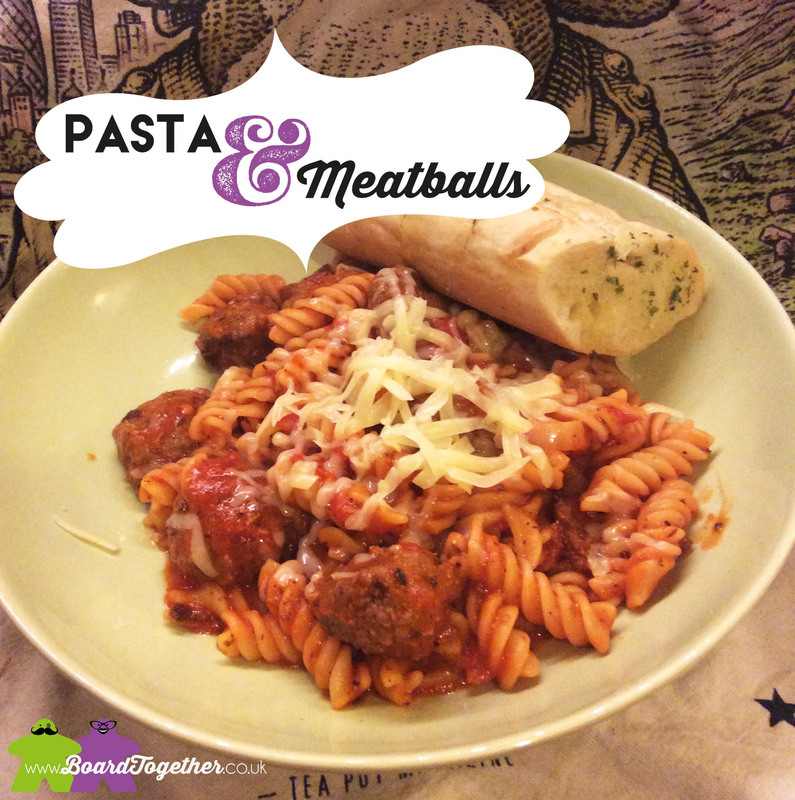 Serve the meatball mix on a bed of pasta for each person. 8. Season with pepper, chilli flakes and grated cheese as wanted then tuck in! We use the garlic bread to mop up all the lovely sauce.